MUSKEGON, Michigan (AP) -- Before the sparring, before the forms, before the first kick or punch, there is the pledge. "I pledge allegiance to the cross of my Lord Jesus Christ," class members recite as they prepare for their weekly session in Kalamazoo's Agape Christian Church. Only then do they bow and launch into the disciplines of martial arts as students have done for hundreds of years before them. This is a dojo with a difference. "Basically Christ is the center," said Wendy Williamson, a 31-year-old second-degree black belt instructor, describing the class. "My main emphasis is that Christ is the master." Before you smile knowingly, before you let loose with a tide of jokes about kicking rear ends for Jesus or smacking the other cheek, understand that martial arts instructor Wendy Williamson has heard just about all of them. More importantly, she has heard the misgivings of evangelical Christians who regard karate, Tae Kwon Do, jujitsu and other martial arts disciplines as anti-Christian and rooted in Eastern religions. This is not a casual observation. Williamson has invested a great deal of prayer and soul searchings -- not to mention biblical text -- in her conviction that there is no paradox in Christian martial arts. In fact, she says, the discipline of Christian martial arts qualifies as a bona fide movement. Williamson -- a Muskegon native who now lives, works and teaches in Kalamazoo -- has taken a giant first step in chronicling that movement. Her book, "Martial Arts: The Christian Way," is hitting shelves in bookstores across the country. What connection could there possibly be between the violence of martial arts and a faith whose founder is known as the Prince of Peace and whose teachings include injunctions to "resist not evil" and "turn the other cheek"? Shattering misconceptions about Christian martial arts may be somewhat more challenging than shattering bricks or boards. But Williamson says the connection seems less mysterious once you learn more about Christianity -- and about martial arts. The notion that martial arts are about violence is an idea held mainly by the uninformed, Williamson said. "People generally don't know very much about martial arts," she said. "They see Bruce Lee on TV, and they think it's about beating people up, but that's so not true." Nor are the traditional martial arts a form of Buddhism or any other Eastern religion, Williamson said. "The martial arts are not religions," she said. "They came out of Asia but they are not a religion. They are just a set of movements for self-defense." In many teachings, they also include the teaching of such principles as honesty, patience and self-discipline. Such principles are anything but anti-Christian, Williamson says. "I often use the analogy of rock music," she said. "For a long time, a lot of people were saying rock music was evil and from the devil. "But if you change the lyrics, what do you have? A great ministry." Williamson has been studying martial arts for nearly 20 years. A 31-year-old coordinator for Western Michigan University's Study Abroad Program, Williamson has been honing her stills in the martial arts since she was 12. She was born in Muskegon and moved with her family to South Bend when she was 5. It was there that her appetite for the martial arts was whetted. "The whole family signed up -- my mom, my dad, my brother," Williamson said. She was the only one who stuck it out. "I grew up in a regular old martial arts school, with the emphasis on the Zen Buddhism thing," she said. It was a small, unpretentious school, Williamson said. The instructor "had his dojo in his garage," she said. When she went away to college, attending the University of Indiana at Bloomington, the criticisms began. "I started to hear a lot of smack about people being in martial arts and Christian," she said. "They said it was an Eastern religion, it was evil, it was bad." Nowadays, Williamson has plenty of ammunition to fight back. It begins with the Bible -- with Paul's letter to the Ephesians. She quotes Paul's instructions for spiritual warfare -- "Put on the whole armor of God that ye may be able to stand against the wiles of the devil" -- and adapts them to her own class. She says she tells her students, "When you put on your uniform, it's the uniform of purity. When you put on your belt, it's the belt of truth." In fact, much of the tradition of martial arts lends itself to Christian teaching. There is the Code of Bushido, for example -- a moral code set down for the Japanese Samurai, or fighting knights. It includes such principles as honesty, respect, loyalty, rectitude and valor. "The difference is that the Samurai thought they could do this through themselves," Williamson said. "Christians try to develop the same things, but through Christ." Williamson teaches a pair of Christian martial arts classes -- one for children and another for adults. The surprise has been the adult response. "They really love it," she said. "A lot of them have always wanted to do martial arts but never had the opportunity." She said classes are designed not only for physical development but mental and spiritual development as well. "As you progress from yellow to black belt, you develop spiritually," she said. For a while, Williamson's own martial arts development was on hold. She earned her black belt as a 19-year-old. Two years later, she had advanced to the second-degree level. Ten years later, Williamson is still there, due largely to the life choices and demands. She earned a bachelor's degree at Indiana University and then received her master's degree in counselor education at Western Michigan University. There followed four years of Peace Corps work in Cameroon and in Ecuador, where she met Francisco, now her husband. They have an 11-month old son, Leo. And then there was the overriding sense that God intended her to write. 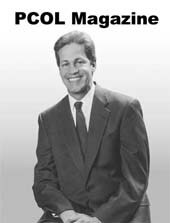 Contributing to the book was the sense of vindication Williamson experienced after returning to the United States. The Internet was in full swing then, and in her searches, she found she wasn't the only Christian martial arts instructor. There was even a class in Muskegon. It was taught at Calvary Church, then known as Calvary Baptist, by Williamson's aunt, Patty Villalpando. The class had been defunct for the past few years, but Williamson said Villalpando has expressed intentions of starting it again. Now there is an Internet resource for the movement called the Christian Martial Arts Network. Williamson said her book, published by Agapy Publishing in 2002, has drawn widespread response from other instructors. "People have written me who always wanted to get martial arts in the church but their leaders thought it was evil," Williamson said. Besides explaining Christian martial arts, Williamson's book gives a brief history of the martial arts and outlines their forms and styles. It also serves as a reference for finding a martial arts school. Is there such a thing as Christian martial arts and can it be used to evangelize and bring people to know and grow in Jesus Christ? The answers are undoubtedly "YES" and "YES." In fact, it is being used around the world in a widespread, evangelical ministry to reach people from all walks of life. While there are many Christian martial arts schools and associations in existence, society has little knowledge of what they truly represent or how they integrate sound Christian values, teaching, and evangelism with martial arts. Unfortunately, this lack of understanding creates skepticism that often times keeps people from getting involved, and therefore, never discovering the benefits that come from Christian martial arts training. Without a doubt, martial arts is highly misunderstood in Western society. It is often associated with mysticism, violence, and warfare, as well as Eastern cultures, religions, and philosophies. It is true that the martial arts was invented and developed in the Far East, and therefore, took on the culture, religion, and philosophy of its teachers and students by association. However, the martial arts is not cultural, not religious, and not philosophical in and of itself; it reflects the values and principles of its teachers, which can be Christian or any other religion. So, is martial arts compatible with Christianity? After all, what does a karate expert like Bruce Lee have in common with a Christian expert like, say, Billy Graham? Any attempt to prove that martial arts concepts are compatible or incompatible with Christian concepts (such as proving that self defense is permissible in the Bible) is a moot point. First, the martial arts is NOT a religion, so it cannot be compared to one. Second, there are folks that say football is violent, and is therefore antichristian, and that rock music is from the devil. However, most of us know that football players can play football and be Christian, too, and that rock music can be used to minister to youth and glorify God by changing the lyrics and focus to Christ. So, why wouldn't it be reasonable to think that a martial artist can be Christian, and that martial arts can reach youth and glorify God when the focus is on Jesus? Now that we have some things straight, I'd like to challenge you with an even deeper concept. There is a different between a Christian who practices the martial arts and a Christian martial artist. Being Christian and driving a car doesn't necessarily make you a Christian car driver. Being a Christian and eating a burger, doesn't make you a Christian burger eater, either. So how does being a Christian and practicing martial arts make you a Christian martial artist? It doesn't! It is fine to be a Christian and practice martial arts purely for the sport of it, but a Christian martial artist takes it a step further. A Christian martial artist is one who uses the martial arts as a tool to live out his/her life in the Lord Jesus Christ and to help other people come to know Jesus Christ and live their lives for Him, too. This is very good because the Bible says that anything and everything Christians do, they must do for the glory of God (1 Corinthians 10:31). Martial Arts, The Christian Way is among the first published books to address this new and groundbreaking phenomenon in teaching and ministry. Author Wendy Williamson is a Christian black belt instructor and holds a Master of Arts in Counselor Education. For nearly 20 years, she has been involved in the martial arts and has taught Christian-centered karate classes in youth clubs, hostels, schools, and churches around the world in three different languages. She is an expert on this subject matter and uniquely qualified to teach others how the martial arts can be coupled with Christian education to create a practical and effective form of youth ministry and evangelism. She is currently the Director of the Christian Martial Arts Program at Agape Christian Chruch (Kalamazoo, MI) and a member of Karate for Christ, the Christian Martial Arts Association, the International Network of Christian Martial Artists, and Grace Martial Arts Fellowship, among other organizations that use Christian martial arts as a medium of reaching youths. 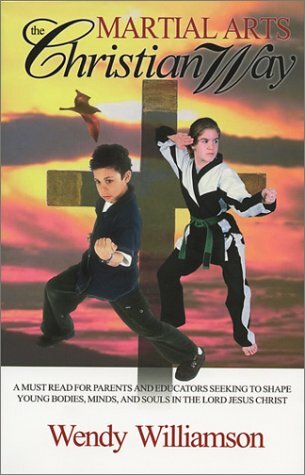 Martial Arts, The Christian Way is available for purchase at all Christian bookstores and dealers. The book contains 160 pages and lists for $12.95. Order NOW while the supply lasts. For bookstores and martial arts schools who wish to purchase the book for resale, it is available at wholesale prices through a major CBA Distributor, Riverside Distributors, and Agapy Publishing. at Sadisana Institute from 1975 to 1977.